Note for ePattern customers: pattern is 37 pages. The Gnomes are back! 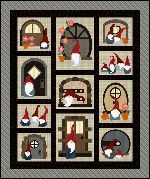 And nobody can have enough Gnomes! 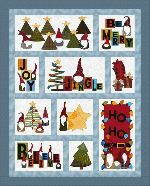 Designed for easy fusible applique. This quilt is sure to bring a smile. Finished Size: Lap/Throw 50" x 62"